I like when portraits flow nicely across the fold of my journal. 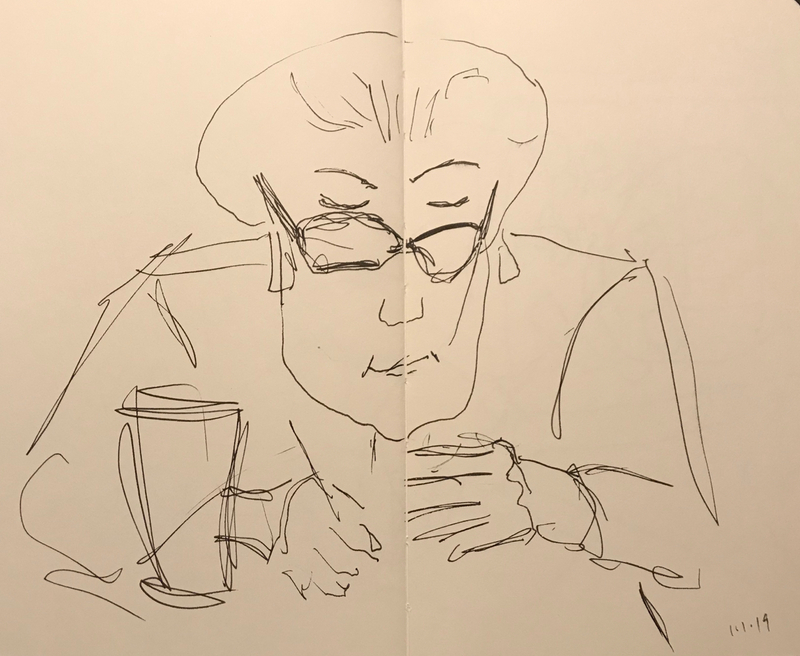 This entry was posted in Personal Stories and tagged across the fold, art, blind drawing, drawing, paying the bill, pen and ink, portrait, sketch, visual art. Bookmark the permalink.